Democrats visit holding facilities and Melania Trump weighs in on the issue. 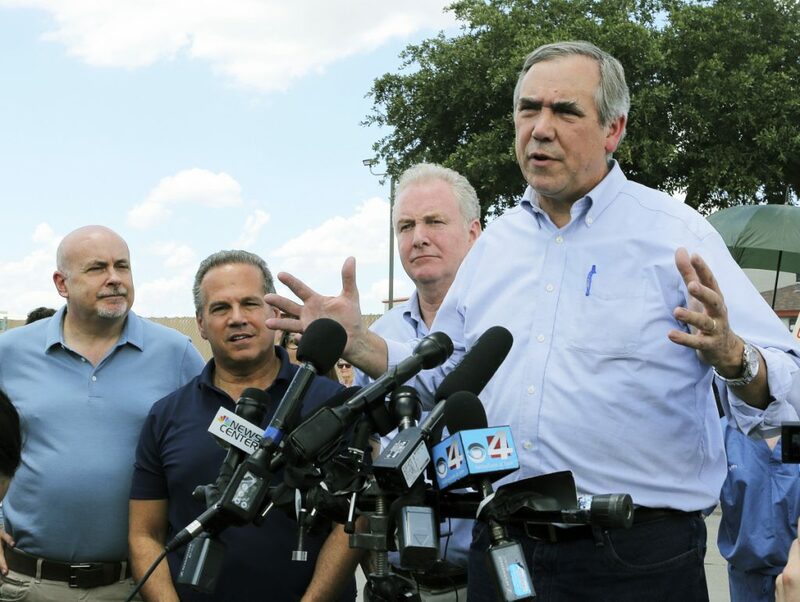 WASHINGTON — Democrats expanded their campaign Sunday to spotlight the Trump administration’s forced separation of migrant children from their families at the U.S. border, trying to compel a change of policy and gain political advantage five months before midterm elections. White House officials and allies on Sunday dug in and defended the policy, insisting, as Trump has, that the administration was following existing immigration law. The divisions between the White House and its critics on both sides of the aisle opened a signal week when it comes to the nation’s immigration policies. President Trump is due to speak Tuesday to Republican members of Congress on the issue, which has confounded both ends of Pennsylvania Avenue for a generation. Democrats, actively denouncing the zero-tolerance policy, have remained united against the Republican measures but are pushing a bill by Sen. Dianne Feinstein of California to immediately block family separations. No Republican has publicly supported that option. After equivocating Friday about which of the two Republican immigration measures he would support – and shaking up Republican Party members seeking signs from the White House – Trump later said he would back either one.